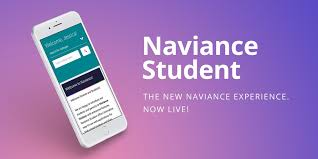 The Counseling Department is pleased to introduce Naviance Student, a web-based service designed especially for our students and families. Naviance Student is a comprehensive website that both students and parents can use to help in making decisions about courses, colleges, and careers. Naviance Student is linked with Naviance Succeed, a service that we use in our counseling office to assist students in the often complicated college selection and application process. The Counseling Department & CRC News for April 19, 2019, can be accessed HERE.